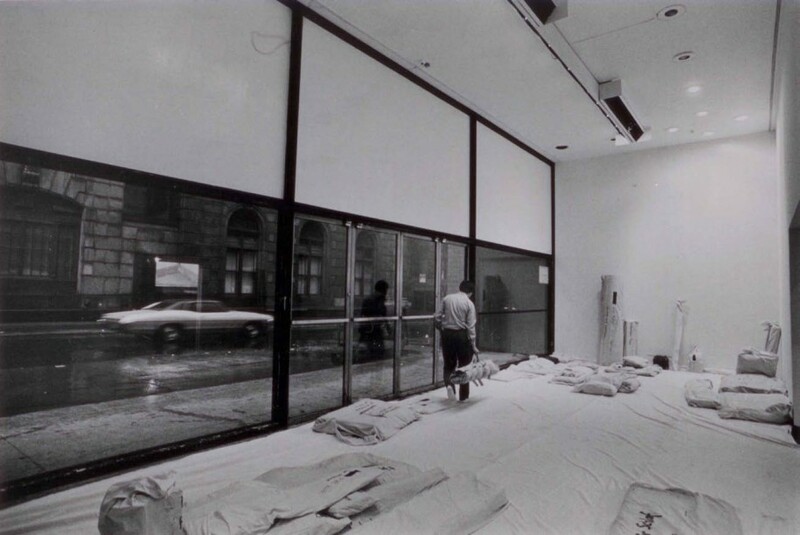 In 1970, the Spaces exhibition at MoMA broke new ground. It’s hard to believe, given the premise: that art must be activated by the viewer to be fully realized. Yet, this was 1970, just a little over 40 years ago, and the idea of interactive art was just entering the public eye. There were a few early examples in the 1960s by Nam June Paik (Random Access, 1963), Robert Rauschenberg (Soundings, 1968), among others, but by and large, in 1970, art was still considered to be object-based, something fixed and polished, a completed entity to be viewed by the observer. In 1970, the tides were beginning to change, the personal computer was just a few years away, and unbeknownst to most, the Internet was only one year old with just enough participants to count with your fingers. Jennifer Licht, who curated the Spaces show at MoMA, foresaw the evolving role of the viewer in the experience of art in the dawning of the information age. In fact, she had assisted Pontus Hulten in the The Machine as Seen at the End of the Mechanical Age, the legendary exhibition that laid the groundwork for the future of art and technology. Licht assembled a group of artists who created new installation works, including Michael Asher, Dan Flavin, and Franz Erhard Walther, the latter who installed First Work Set for the show. What was particularly striking about Walther’s work, was its interactive properties, now popularly referred to as “relational art,” but in 1970, it was an entirely new form to involve the viewer in the actual creation of the work. What is the significance of viewer activation? In the current era of personal computers, smart phones, and other forms of interactive media, we experience and learn by doing. We navigate the spaces of the digital and the virtual in the only way possible: extending our reach via the mediation of technology. And so, a work like First Work Set, literally “set” the stage for interactive art through the implementation of a space of materials that lie dormant until the viewer takes the initiative to extend their physical reach by engaging with the materials at hand. 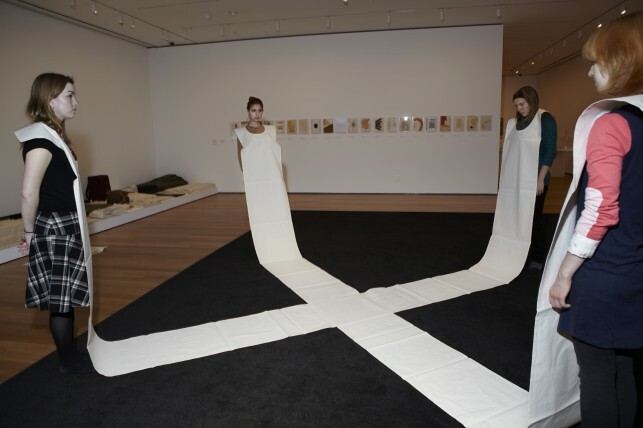 Canvas bags are carefully folded throughout the gallery, indecipherable as usable objects until the viewer takes the initiative to realize their function. The result of this engagement is the collective experience: just like in music, when the viewer is part of an audience, the experience becomes collective, social, and shared. First Work Set was recently installed again at MoMA, and of course, there is nothing surprising these days about the construction of socially-engaged art experiences. But when viewed historically, it is astonishing how radical it must have been for viewers to be invited to touch the materials of a work. Not only touch, but to manipulate and decipher their very meaning through the invitation to explore in a tactile way their contents and function. The viewer essentially becomes inseparable from the work, a necessary agent in the work’s becoming. You might be wondering, is this a good thing? Do we no longer have the patience to simply observe and reflect without becoming entangled in the work itself. Are we captive to doing, with the attention span of a child who must be playful engaged, or else.